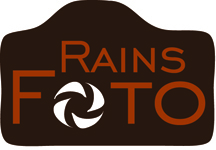 Rains Foto - Get to Know Me! There is a story to be told. A story that has no words and has no sounds; it has vivid expression. Long or short. A story exists. The way a 2-week old baby fits into a fathers hands or the way a bride's eyes twinkle when she walks down the aisle to her soon-to-be husband. My focus is to capture memories of love, connection, and friendships. I combine my passion and expertise of photography to capture images that will re-live the day. We live, laugh, and love because of the friendships we have established....my job is to capture these friendships! There is so much to be said about our passion for photography. It is true and real. My passion for photography grew because my wife has such a love for this photography and this industry. I graduated from the University of Missouri-Kansas City with a Bachelor's degree in Business Administration.